Is it Time to Change Your Business Strategies? Home | Managing and Growing | Business Management | Is it Time to Change Your Business Strategies? Change is a crucial element of any business. Whether your business has sunk into complacency, your business strategies are no longer effective, or you just need to stir some excitement into your business, you need to adopt changes. As your goals and visions are reached, you need to change gears and move on to the next level. Change can help your company grow — and increase your bottom line. But what do you change? How do you know if it is time to change your business strategies? Is it because your competitor launched an aggressive marketing campaign this quarter? 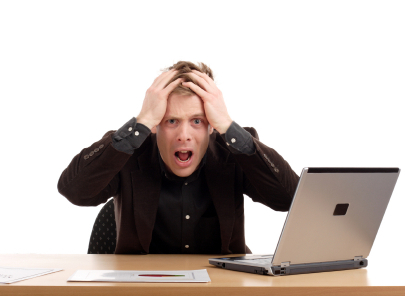 Did your online business suffer because you were hit by Google’s algorithms? Take a good look at your business. Look at your business from the eyes of an outsider. The key is to look at your business from an objective perspective (it’s hard!). Give yourself time away from the day-to-day needs of your business and look at the overall picture. Over one weekend, for example, just sit back and reflect on how you can improve your business. Pinpoint the problems, ask why there are problems, and think of ways these problems can be minimized, if not totally eradicated. Do you have high accounts receivables, even bad debts? Why? Is it because you send out invoices late? Or is it because you lack policies and measures that will ensure that payments are made before the products are delivered or services are rendered? Is your website giving off poor user experience because of the ads or poor navigation structure? Do this exercise routinely — at least once a month — so that you can nip the problems at the bud before these escalate into bigger problems. Evaluate what your competitors are doing. There is much to learn from your competitors. Far from being a copycat, your competitors can show you new opportunities and new ways of doing things. They can even show you what not to do and what to avoid in your industry. Keep a close tab at what your competitors are doing. Use their successful strategies as an inspiration to create better products or services. Your customers are a goldmine of objective information about your business. After all, your business exists to please them — your customers. Whether through surveys or interviews, get your customers’ opinion on what they like (and don’t like) about your business. Ask them what they would like to see from your business, whether it is a new product offering, improvements in the current product list, or better customer handling. Many customers will gladly give their feedback to you. Get feedback from your employees. Your employees are the frontline of your business. They are the ones closely dealing with suppliers and customers, and as such, have the vantage point of these crucial relationships. More than that, employees present a different understanding of your business and can be a rich source of suggestions to improve your business. Ask their feedback regularly. Better yet, develop a mechanism where there exists a free flowing loop of feedback between your employees and yourself. Not only will you be able to get more ideas to change your business for the better; your employees will feel that the business owner values their ideas and suggestions. This will lead to happier, more productive employees, which in turn will lead to a healthier bottom line. Success needs constant reinvention. You need to constantly work at achieving your goals; and you can only do so through constant changes.